One of my life goals is to impact 10,000 churches across the United States. My hope is that I can help them have a more inviting, welcoming website to help spread God’s love throughout every community. Churches have the opportunity to make a lasting impact on this earth, leading more people into The Kingdom, and I hope to help churches make this powerful change. As my family and I have traveled across the U.S. over the last year, we’ve witnessed too many churches missing the opportunity to welcome first-time visitors. There is a disconnect between the church as a whole, and the invitation to the first-time visitor, whether it be visiting your website or visiting your church in person. I strongly believe one of the first places you can begin to make an impact as a church is your website. This is why my team and I have created the Kingdom Church Website Template. This template will forever change the way you welcome visitors not only to your website, but also to your Sunday service. How do you want people to feel after visiting your website or church service? Often, your website is the first impression that a person has of your church. It could be keeping people from visiting your church in the first place. Honestly ask yourself: Is our website inviting to new visitors? Are we as a ministry inviting to first-time visitors? Using the Kingdom Church Website Template gives you an affordable way to have a modern, professional church website, that helps you make a deeper connection with first-time guests. We are called to go out and make disciples of all nations, but if we aren’t welcoming the very people who come and visit our church, we can’t impact the world at large. 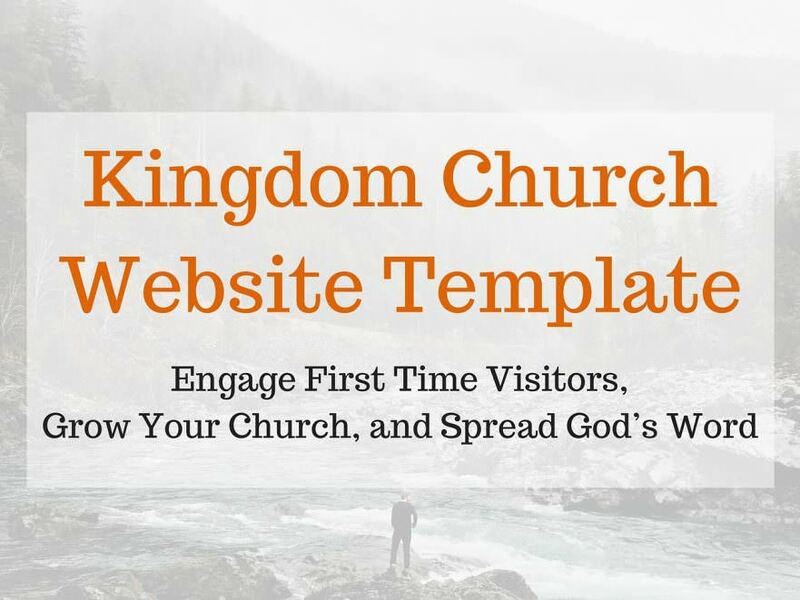 The Kingdom Church Website Template can be your first step in becoming more welcoming to guests. The easy-to-use and easy-to-implement template helps your church stand out on the web, and gives people a true understanding of your church, before they even step into the sanctuary. If your church is ready to make a lasting change that will forever change your ministry, we invited you to read more about the Kingdom Church Website Template, check out the demo site, or contact us directly to get started.